The Churchill has a wonderful family home design. The two story foyer welcomes you to the living room on one side and dining room on the other or down the hall to the private study. All are generously sized to offer space for a gathering of friends or family. The large family room has an open design into the adjacent kitchen which offers an informal dining area and oversized island. The second floor features a private owner’s suite with sitting room and substantial walk-in closet.. Master Bath includes a soaking tub, large walk-in shower, and a double vanity. Outside of the owner’s suite, the Churchill has three generously sized bedrooms and a large hall bath. Also the laundry room on the upper level so convenience is just right around the corner. The full basement level can be finished to include a recreation room, full bath and den/5th bedroom. 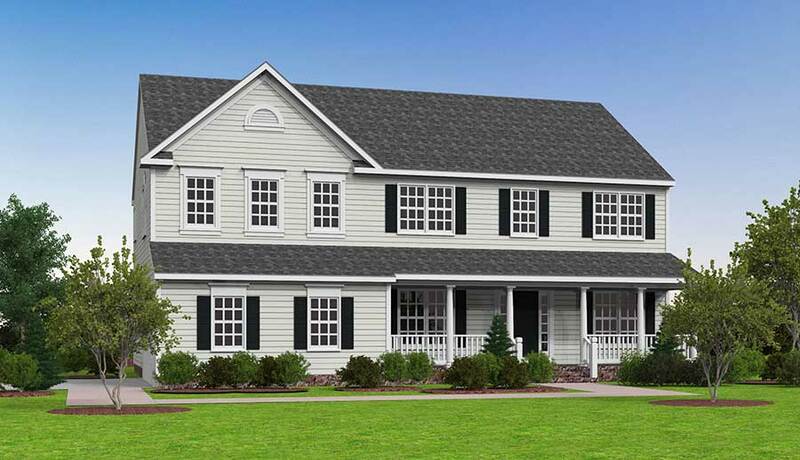 This home starts at 2,968 sq.ft. with additional options such as a morning room or conservatory to fit your needs.